TELL CONGRESS TO PROTECT OUR FISHERIES LAWS. TAKE ACTION HERE. The Magnuson-Stevens Fishery Conservation and Management Act (MSA) governs fisheries management in the U.S. Exclusive Economic Zone (up to 200 miles offshore). 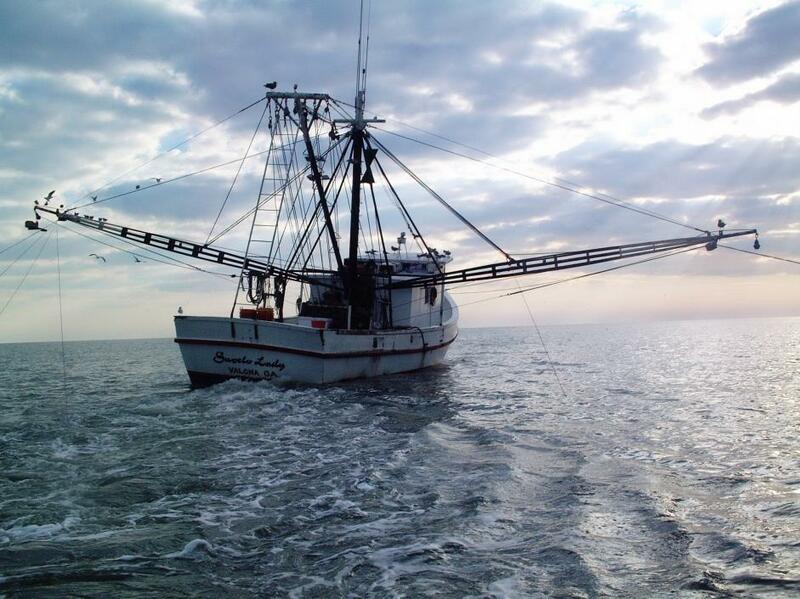 The National Marine Fisheries Service (NMFS), a part of NOAA, is the federal agency responsible for implementing this law and ensuring that U.S. fisheries comply with a wide range of conservation and management requirements. A federally managed “fishery” must follow fishing rules developed by the eight Regional Fishery Management Councils and administered by National Marine Fisheries Service (NMFS). Fishing rules must comply with U.S. law, but the regional councils have flexibility to tailor to fishery management to meet the needs of local resources, economic factors or conservation initiatives. This decentralized system has its benefits but can result in inconsistencies between regions. For decades, fishing in U.S. waters was a virtual free-for-all, with U.S. and foreign fishermen competing for dwindling resources. As a result, many fisheries became severely overfished, below heathy levels of abundance and overfishing was occurring meaning that fish were being taken out of the ocean at a rate faster than nature could replenish. To prevent more fisheries from collapsing and to protect domestic fishermen from foreign competition, Congress passed the Magnuson-Stevens Fishery Conservation and Management Act (MSA) in 1976 to establish federal management of the nation’s fisheries and restrict fishing activities in U.S. waters. The law put fisheries management largely in the hands of eight regional councils, allowing each region to address its specific needs and giving stakeholders a voice in management of the resource. The law, which has undergone numerous changes in its 42-year history, has reversed the declining trend and helped rebuild dozens of fish stocks. Oceana is working with scientists, fishermen, lawyers, the regional councils, federal policy managers, and U.S. Congressional members to protect the MSA and promote responsible fisheries policy that ensures a healthy future for the ocean ecosystems on which our coastal communities rely. For nearly twenty years after passage of the MSA in 1976, many fish stocks continued to steadily decline. While foreign fleets could no longer fish in the newly-established Exclusive Economic Zone (EEZ), U.S. fishermen expanded their fishing and continued to fish unsustainably. Scientists and fisheries managers realized that unless controls were established to address overfishing, many valuable commercial species would disappear. Annual Catch Limits (ACLs): Each regional council must specify ACLs, or the amount of fish that may legally be caught each year, for nearly all stocks under its management. The ACL cannot exceed scientific recommendations and cannot allow overfishing. Accountability Measures (AMs): Each regional council must also establish specific mechanisms for enforcement of the ACLs, known as AMs. The AMs are designed to prevent exceeding the ACL and respond to any catches in excess of the ACL. AMs can include measures such as quota reductions in subsequent years, restrictions on fishing gears up to partial or full closures of a fishery. These protective measures are now being implemented and America’s fisheries are starting to see signs of real success. The vast majority of federally-managed stocks are not overfished and those that remain overfished have clear plans for rebuilding. Dozens of fish populations have been successfully rebuilt, with the result that fisheries managers have been able to increase annual catch limits. This is all thanks to sound management and a clear legal requirement for fisheries managers to take action to end overfishing and rebuild depleted fish populations. Unfortunately, there have been attempts weaken the very law that has improved fisheries in the U.S. A number of bills have been introduced that would extend deadlines for rebuilding stocks, relax ACLs, loosen AMs, and hinder the ability of the scientific advisors to provide sound scientific recommendations. These changes, if implemented, would undermine significant progress in fisheries management over the last 42 years. Oceana works with policymakers to protect the integrity of the MSA and guard against attacks from those who want to weaken the law. Since 2009, Congressional attacks on the MSA have steadily increased, with a chorus of opponents calling for changes. Oceana advocates that the law is working and is critical for the rebuilding and sustainability of our fisheries. Oceana also works in the regions to promote conservation-minded management policies and to ensure that the regional councils are fulfilling their responsibilities under the law. Our representatives routinely attend council meetings, propose changes to existing management programs and advocate for stronger conservation measures and responsible stewardship of our marine resources.